This is a very personal post. This is a short story of how I learn something from my guests on every journey. It's also a story about how I continue to appreciate and love not only the Galapagos Islands, but the unique position I find myself in as I am able to share with my guests this wonderful world I call my home. Recently, a friend of mine was in New York City when she came upon a sign at Battery Park, the place where you take a ferry to the Statue of Liberty and Ellis Island. She sent me a picture because, she said, I would find it ironic. She was right. or a record store or some other sign that people do not totally regret life. Poem by Frank O'Hara. I have to admit, the poem shocked me. When I first read it, what I felt is that whoever wrote that urban poem and I have totally different life visions. We approach life from opposite perspectives. We would never see eye-to-eye on nature and the environment, conservation and preservation, peaceful existence and comfort, fulfillment and satisfaction, ecology and evolution. That’s not to say that there is a right and wrong way to experience life and living. But, when you grow up in the Galapagos Islands as I have, you learn to appreciate things differently. Nature is your home. I appreciate every blade of grass, spike of cactus, grain of sand, lava rock, crag and crevasse on these majestic islands because they signify beauty and evolution to me. I hear the music of the water, the birds, the sea lions. All of these things speak to me. When I explore, the only noises I like to hear are the birds, the sea, and the wind. I see the sky and the clouds. They make me joyful. I want to share these experiences with others and help them gain a great appreciation for the world around us. I’ve been to New York City and was thrilled with Times Square, Broadway, the Statue of Liberty and Grand Central Station. It was exciting and vibrant; alive and stimulating. But nothing that I saw in New York said to me that the existence of a record store or a subway is a sign that people don’t regret life. To me all of the noise was a happy and thankfully temporary diversion. I have wonderful memories of my travels to New York (except for the ice cold weather and snow - my first and only experience of that kind) and would love to go back again - for a visit. 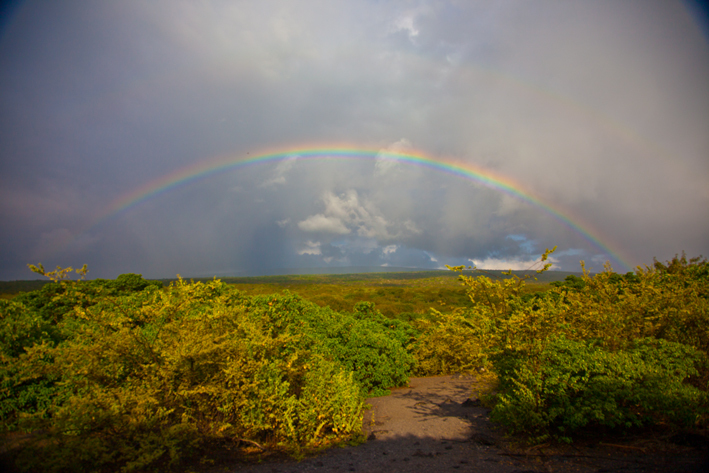 But, I am happier here surrounded by the natural beauty of the Galapagos Islands. When I first read this quote, I reacted just as you might imagine. I actually felt bad for the poet because he didn’t seem to understand or appreciate the peacefulness of life. I thought that the hustle and bustle seemed to indicate that he needed something extra because his life was not sufficient without distraction and activity. He needs stores and subways, buildings and sky scrapers, noise and unease because nature and the world around is not enough for him. I continued to think about this quote and, in the end, I learned something very valuable from it. It opened my eyes. It helped me understand the point of view of a lot of my guests when they first come to the Galapagos Islands. They come here from their busy lives. They may never have been in the quiet. They may even avoid quiet in favor of subways, stores, and busy streets. They may be oblivious to or even deliberately ignore the birds that fly and clouds that roll by. They may be stimulated by the man-made buildings that surround them and block them from nature. They may never have smelled the sea. Then, these visitors come here, to my personal Paradise where I do my very best to instill in them a sense of this special place. Here, I explain the meaning of evolution and show how it happened. Here, the Earth is still moving and the sea is constantly changing; there is nothing stilted here - it's all energy, but a natural boundless energy - not-man made. 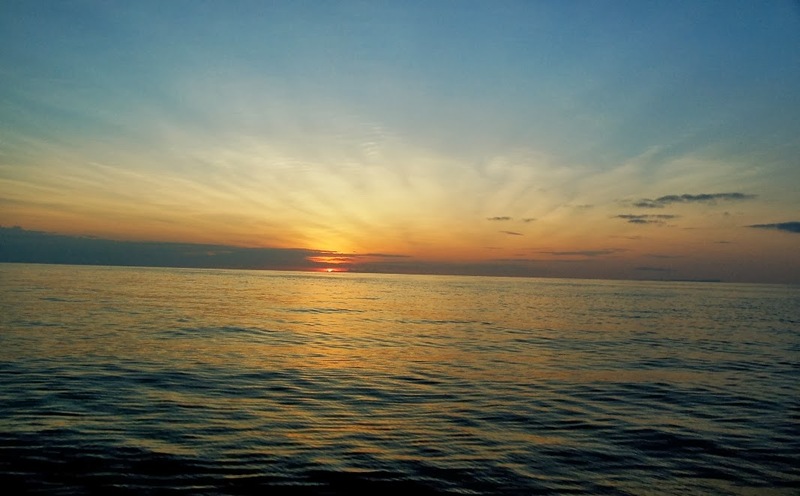 Sometimes, I realized, it may take time for a person to learn to appreciate the quiet or to listen to the sea. Decompression isn't automatic for a person whose life is constantly hectic, filled with cars, horns, telephones and people surrounding them. Later, my friend sent me another poem, also by Frank O’Hara. In this poem, his perspective of the world was entirely different from that in the first poem. Here, he opened his eyes. 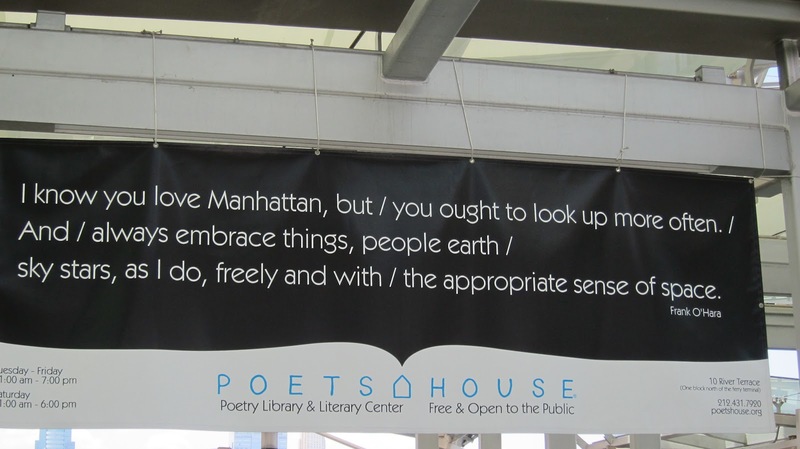 I know you love Manhattan, but you ought to look up more often. And always embrace things, people, earth, sky, stars as I do. 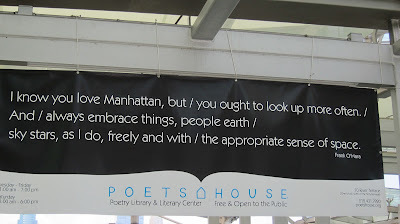 I hope that with my guidance and help my visitors, like the poet Frank O'Hara, can see and experience a second new perspective and world view. I will continue to teach and explore. I will continue to open eyes and create once-in-a-lifetime experiences. But, I may do it with a little more sensitivity to why it may be hard for some people to absorb. After all, their minds and ears may be cluttered with the sounds of the city and their eyes may be blocked from seeing the sky by tall buildings and telephone poles. So, for those people, it may take a little longer. 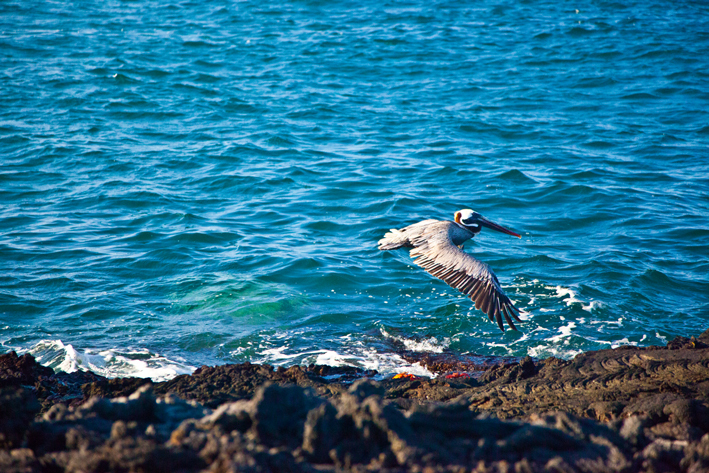 But they too will find Paradise here in the Galapagos Islands.